Anne Barth, TechConnectWV, Tony Anderson, NG Innovations, Lindsay Emery, WVU LIINC, and Guy Peduto, Innova, celebrate the NG Innovations success. 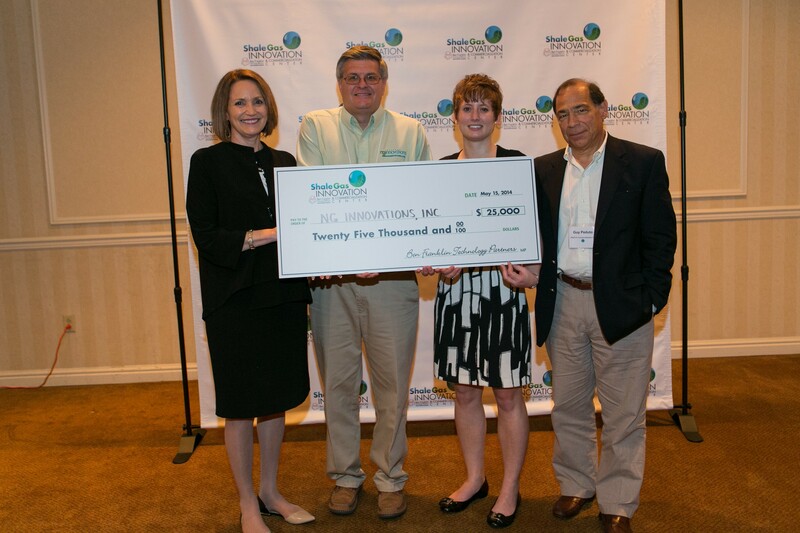 NG Innovations of Cross Lanes, West Virginia was among four companies selected as winners in the 3rd Annual Shale Gas Innovation Contest. 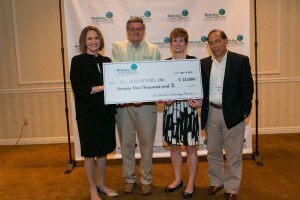 The contest, which was held on May 15 in Southpointe, PA, provides an opportunity for entrepreneurs and early-stage companies in southwestern Pennsylvania and West Virginia to submit business ideas and technology innovations connected to the region’s shale industry. Those ideas are reviewed by a judging panel, and then finalists are given an opportunity to provide pitch presentations.